This image from StockTwits is fascinating. 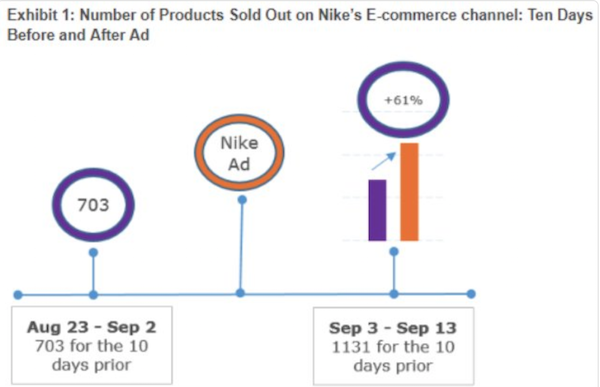 It shows the number of product lines sold out on Nike's online site before and after the Kaepernick ad. Before the ad, 703 items were out of stock. After the ad, that shot up 61% to 1131. Genius. I have seen some people criticise Nike's motive behind this campaign. That frustrates me. I see absolutely nothing wrong with a profit incentivised company supporting a brilliant message and at the same time making money out of it. That is what capitalism does, just because the end goal is profit, that should not take away the positives.